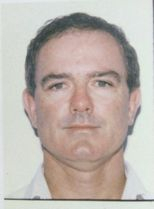 Craig Hewson is the owner and principal physiotherapist at the Riverton Physiotherapy Clinic. The practice has been at its present location on High Road since 1998. The practice is a generalised practice meaning that Craig has experience in both general day to day spinal complaints, workers compensation and motor vehicle claims as well as specific sporting injuries. Craig has worked with national and international calibre athletes across many sports, some of which include baseball, basketball, swimming, water polo and many other sports at the state and local level. Craig has been a member of the Australian Physiotherapy Association for the 25 years of his working life.